NYC, 04/24/2019, 11:30AM. 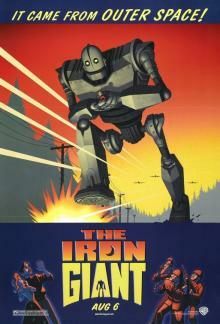 The Iron Giant (1999): Agent Wants To Destroy A Robot Friend . 86 min. Director: Brad Bird. Starring Eli Marienthal, Harry Connick Jr., Jennifer Aniston. Through home video releases and television syndication, the film gathered a cult following and is now widely regarded as a modern animated classic. A cult following comprises a group of fans who are highly dedicated to a work of culture, often referred to as a cult classic.